Oh so chic, this Art Deco style cocktail rings has that "I bought it in an antique store" vibe. Statement style with jet, clear and emerald crystals. A collision of Art Deco and modern detail, our Statement of Deco Cocktail Ring is the epitome of chic style. 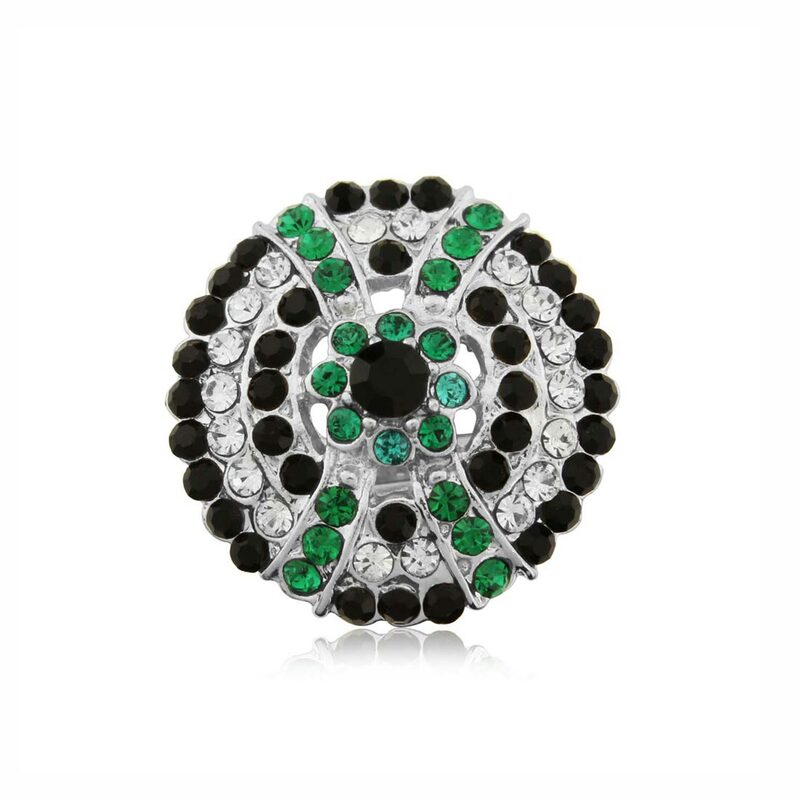 Featuring a disc design encrusted with smouldering jet, sparkling clear and striking emerald Austrian crystals, this fabulous piece will instantly update your outfit from day to night. With a subtle high-fashion military vibe, this Deco dazzler looks as stunning worn with a glamorous evening gown as it does dressed down with a pair of skinny jeans and cami. When the occasion calls for full-on vintage glamour, team with a statement pair of chandeliers such as our Deco Desire Earrings for a dramatic look. For on-trend style, wear Statement of Deco Cocktail Ring with glossy black nail polish or glitz it up with sparkling metallic silver.